I am an As Seen on TV junkie, but managed to steer clear of the Swivel Store – a trademark of Merchant Media LLC. 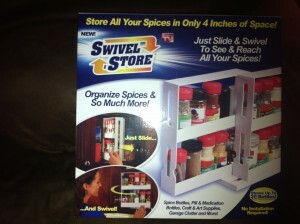 I was intrigued with the concept of swiveling organizer, but didn’t take the plunge and buy it. The Swivel Store is described as a space-saving cabinet organizer. 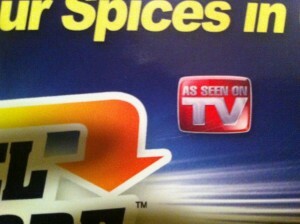 The TV commercials for the product stress its use as a spice rack, which appealed to me. I have a lot of spices and hate having to claw my way through to the spice I need. The fact that it only takes up four inches of space was an added bonus. So, while walking through a major retail chain’s As Seen On TV aisle I gave in and purchased the Swivel Store for a little under $20 before taxes. I was very excited to use the organizer until I pulled it out of the box. While, the width is four inches, the height and depth is 11. The shelves in my cabinets are 9 inches apart. I considered readjusting the shelving so the Swivel Store would fit, but thought that was too much work for a product claiming no assembly required. Note: There is no actual assembly required for the Swivel Store. I wondered how in the world I missed the dimensions. After a review of the packaging, I figured it out; the dimensions are not on the box. They are in the included instructions – number 2 under “To Install”. I also see the dimensions are on the product’s website. Normally, I check out the website. This time I didn’t, much to my regret. But you can’t keep a good gal down. Since it wouldn’t fit in my cabinet, I placed it on the top shelf of my pantry. The Swivel Store works as advertised. It is a functional and neat product. My spices are organized and available with a swing of the shelving instead of an extended search on my part. It would be handy to have the now-organized spices in the cabinet closest to my stove rather than in a pantry several feet. Although I feel the dimensions should definitely be on the packaging, I assume some responsibility for not doing proper research before purchasing. All in all, I am pleased with the Swivel Store and recommend it. Just measure your shelf spacing first. 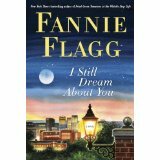 Fannie Flagg, the author of one of my all-time favorite novels, Fried Green Tomatoes at the Whistle Stop Café, delivers again with I Still Dream About You (Random House, November 2010). The novel centers on Maggie Fortenberry, a former Miss Alabama and current agent at Red Mountain Realty. Maggie, now 60, is still quite the beauty with impeccable manners and Southern charm oozing from every pore. Yet, underneath, years of disappointment, guilt and self-doubt have simmered to the point that Maggie can only think of one resolution. She devises a plan to finally rid herself of her demons but the dynamic cast of characters that surround her – ambitious Brenda Peoples, her dear friend and fellow agent at Red Mountain Realty who also hides beneath a façade; Ethel Clipp, the elderly office manager at Red Mountain Realty who longs for a return to the days of genteel manners and ruthless competitor Babs Bingington, owner of a rival real estate agency – create enough detours until Maggie realizes on her own and through memories of Hazel Whisenknott, the motherly founder of Red Mountain Realty, that life, although sometimes difficult, is wondrous. To call Ms. Flagg a gifted storyteller feels like a gross understatement. Her grasp of the tone and climate of both the Old and New South is masterful. Her characters are multidimensional and believable rather than dim-witted caricatures. Admittedly, this novel did not move me as much as Fried Green Tomatoes at the Whistle Stop Café. That novel was so touching it brought me to tears (it may have something to do with my own Southern roots). No, I didn’t reach for a tissue while reading I Still Dream About You, but I did find myself chuckling and pulled into the intrigue of a murder mystery that unfolds in the background. At a little over 300 pages, this is a light-hearted read that will leave you feeling warm and renewed in your own belief that life is well worth living. As Seen on TV – The Eurosealer! First, the bad. After opening the packaging, I was surprised to see no instructions. Just the device ensconced in a plastic bubble. After giving the Eurosealer the once over, I opened the battery cover and Voila! found the instructions packed inside the battery compartment. That’s a little strange since the Description of Parts is the first illustration on the instructions and the first step is the installation of the batteries. How the world are you supposed to know where the battery cover is? You’ll have to do like I did and explore. I’ll save you a few minutes: it’s beneath the Press Bar. Now, the product itself. I practiced on a a multi-pack gum wrapper to get a feel of the machine. I am happy to report that it worked like a charm. The top of the Eurosealer or Press Bar is pushed down until the Heat Pad engages. The instructions suggest this timeframe is three seconds, I think it is about half that time. I do suggest using a practice bag first as it is very easy to burn a hole in the bag you are attempting to seal. Once I felt like I knew what I was doing, I moved to sealing a bag of Pepperidge Farm Goldfish. Again, not a problem. I also like the fact that the Eurosealer has a magnetic back and can be placed on the fridge instead of tucked inside a drawer. Pretty handy. A major complaint about the Eurosealer is that it is not as good as the more expensive countertop models. That’s true; it’s not. That should be self-evident-it’s a $9 gadget! If you’re needing serious sealing, then I strongly suggest passing the Eurosealer by and purchasing a countertop counterpart. If, like me, you just want to seal your snack bags to keep the contents fresh, then you can’t go wrong. If I had a star grading system, the Eurosealer would get 4 out 5. Works as advertised but too expensive. I was recently involved in a car accident. Nothing major but not a minor fender bender either. In addition to being without my car for a month, I was left with persistent lower back pain that made it difficult to stay asleep. While lying awake during the wee hours of one morning, I came across an infomercial for BackJoy – The Back Orthotic and bought it after watching thirty minutes of testimonials. My main reason for purchasing the BackJoy was because sitting in my chair at work was becoming unbearable. 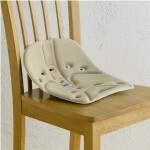 The BackJoy promises to ease lower back pain and improve posture. I am happy to advise it worked as advertised. So why am I including it on a blog with the title Buyer Beware? Two reasons. One: the price. Although the product works as advertised, I feel it is overpriced for the quality of materials – $39.95 plus s11.95 shipping and handling. Kind of steep for what appears to be a simple piece of molded plastic with a soft covering. Two: to receive the full effectiveness of the BackJoy, you have to condition yourself to sit in it properly. Packing materials include a link to a YouTube clip showing the correct way to sit (with it under you) and position (“skootch” to the back of the chair). Although the instructions are not difficult, it is cumbersome to remember this every time you sit down. There are cheaper alternatives that provide the same level of comfort. The second item I am reviewing is the Mister Steamy dryer ball and it will be short and sweet. Buy this product only if you dry your clothes on high heat and don’t expect all wrinkles to be released. Unfortunately, I dry my clothes on low heat (I’m not trying to shrink my shirts and pants) and I did expect all wrinkles released and not just less noticeable. For me, buying this product was a waste of money, time and energy. After a couple of uses, I have resigned myself to promptly removing my clothes from the dryer and sweating over an ironing board.